. . .XileXplores . . .: Fresh View for 2013! Everyone celebrated and rejoiced to welcome the New Year! The Year of the Water Snake. 2013! There are a lot of things in store for us this year. Let’s make sure that we start the year right and do things that we are passionate about. My first post for 2013. As what you can see, its an amazing scene of a picturesque sunrise. I made sure that I didn’t doze off today to see this amazing view. I wanted to make sure that I’m alive and kicking as the sun rises. There are a lot of things I wanted to put into place this year. One is LOVELIFE? (hehehe!) nah! I wanted to continue my quest to travel and explore the Philippines. I wanted to make sure that I get back the passion I seemed to withdraw at work. I need to keep myself focused this year to make sure that I get what I wanted and meet other people’s expectation. Yes, I am starting to get really independent. 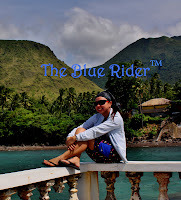 This year, I am still targeting to travel from Luzon, Visayas until Mindanao. I am really planning to do extreme adventures and be serious about my solo back packing trips but I’m still open for group trips and travels with companion but this will never be an issue to me. I am also excited to meet other travel enthusiast. I wanted to complete all my gears, save up for upgrades maybe and will make sure that everything i do is properly tracked. This time I will take control of my life and how I wanted it to be lived. But of course, I am still aware that God is existing, with His guidance I will be able to fulfill my dreams. I am still hoping that Ill get what I wanted this year, I will make sure that I’ll work hard and prove my self worth.